In Small Things Remembered » The Dave Brubeck Quartet in Afghanistan. 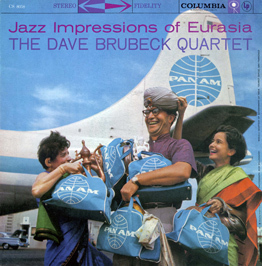 The Dave Brubeck Quartet in Afghanistan. after the concert. b. Record album cover. 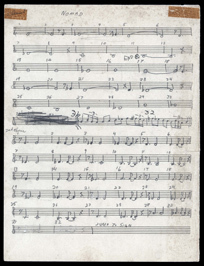 c. Brubeck’s hand written musical score for Nomad. 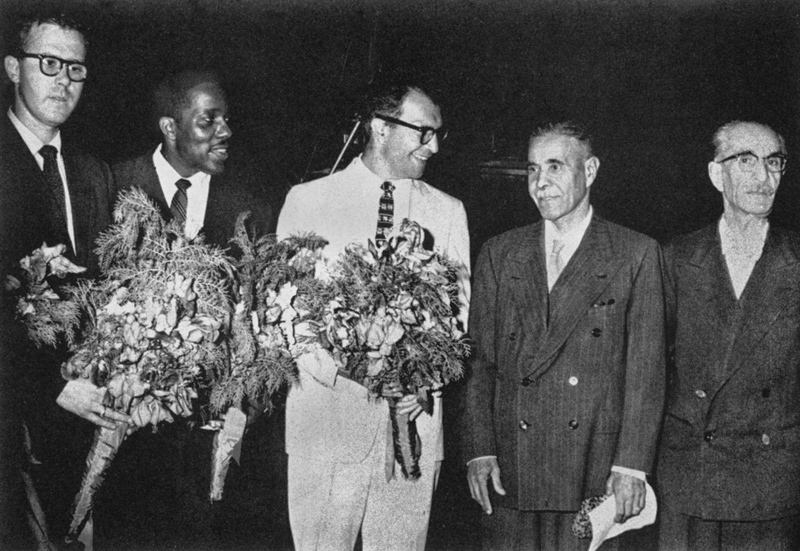 The famous Quartet traveled to Kabul as part of a far-reaching U.S.-sponsored tour. Brubeck listened attentively to local rhythms and melodies while on the road, and translated these into his unique jazz idiom. He wrote the song Nomad to honor the Kuchi nomads who passed by his residence playing their traditional instruments. This song appeared in the popular record Jazz Impressions of Eurasia, which reached a large audience in the United States. Photograph courtesy of Special Collections, University of Arkansas Libraries, Fayetteville. Record album courtesy of Columbia/Legacy, Sony Music Entertainment. 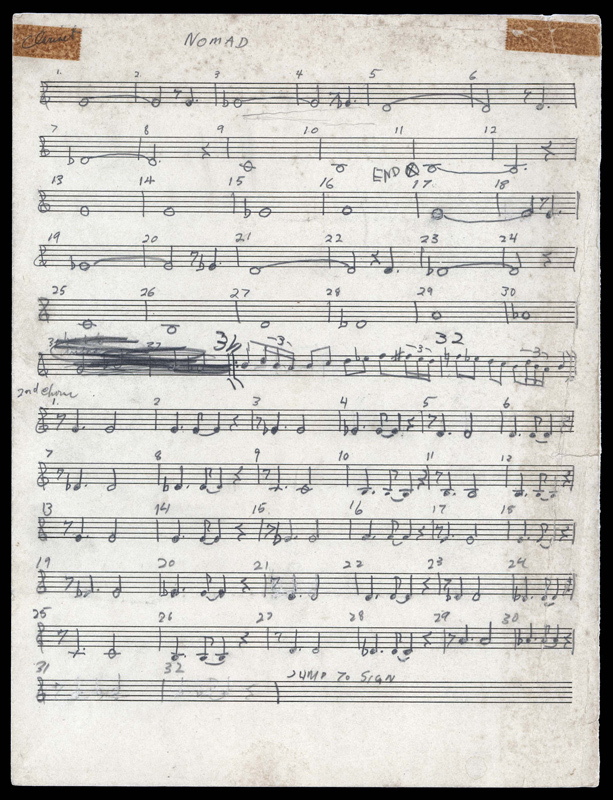 Music courtesy of the Brubeck Collection, Holt-Atherton Special Collections, University of the Pacific Library.